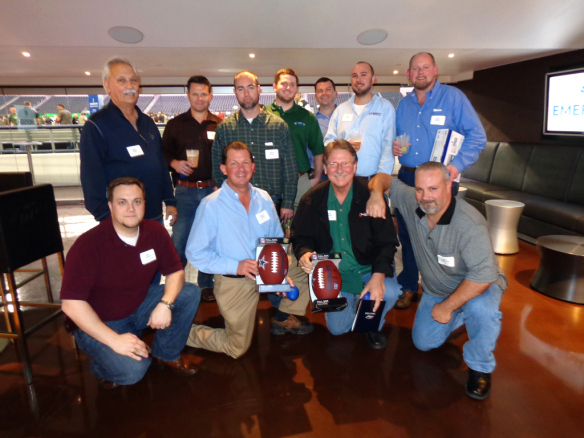 Emerson party at Cowboy Stadium was a blast! Pictures were taken, food and drink were consumed, footballs were thrown, kicked, and caught on the field, and a great time was had by all. Big thanks to Emerson for a great kick-off to tomorrow’s AHR Expo!